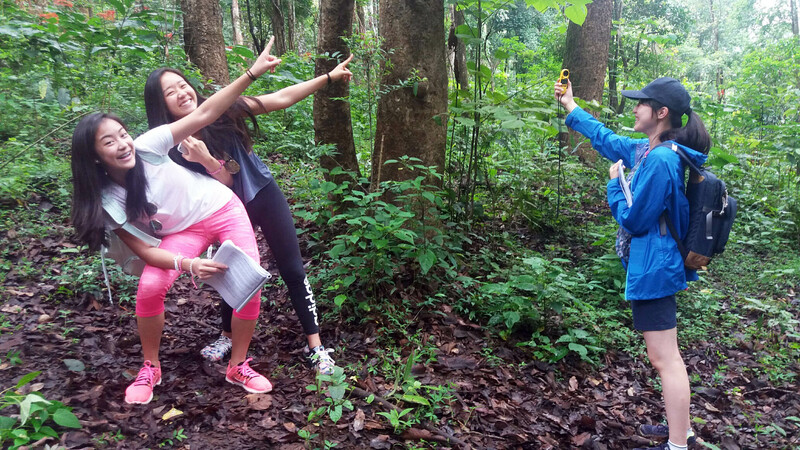 Shrewsbury School from Bangkok have just left us after another successful GCSE fieldwork week. These girls decided that the last piece of fieldwork needed a special celebration!!! They enjoyed the work in this high altitude forest , probably because it was 10C cooler than in the valley. However in their time they fitted in some urban studies, river fieldwork, agricultural studies and looked at settlement hierarchies. All good preparation for next year’s exams, and hopefully carrying out active work in the field will give them a better feel for the subject and thus exam success!